Now available to order is my brand new book on the Butterflies of the Peak District. Butterflies are easily the most enchanting and widely loved of all British insects. They flutter through our woodlands and meadows, in a kaleidoscope of dazzling colours. Coupled with their beauty, their lifecycle is nothing short of miraculous. Their metamorphosis from earthbound caterpillar to winged butterfly is a wonder of nature and symbolic to many people. In the Peak District National Park we are lucky to have a wide variety of butterfly species. 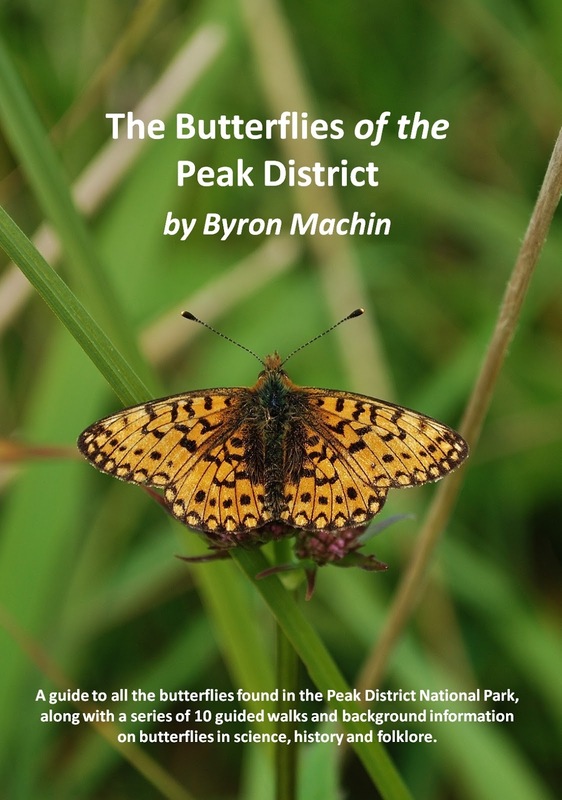 Byron Machin has spent his summers visiting every corner of the Peaks to survey the butterfly populations. Inside this book he guides you through every species and the numerous nature reserves where you are likely to see them. 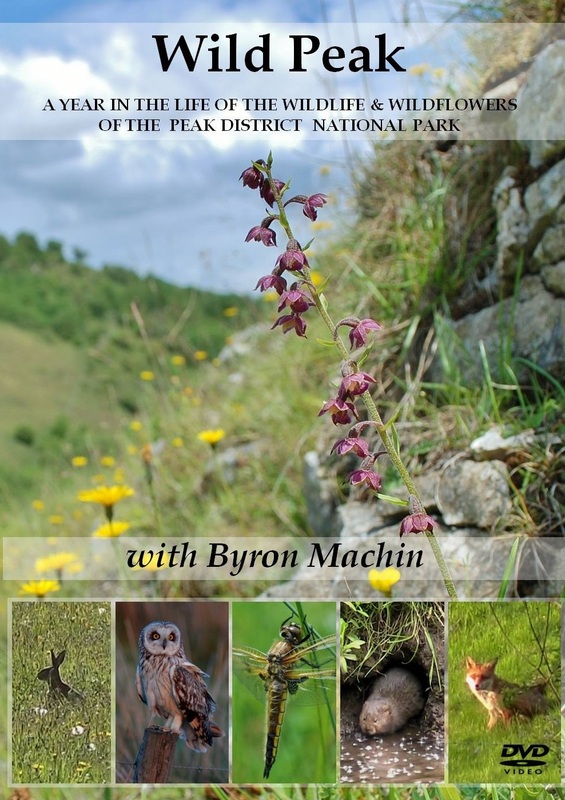 Also included are 10 guided walks and background information on butterflies in science, nature and folklore, accompanied by Byron's stunning photographs. This brand new book is A5 in size,140 pages in length and is printed in full colour throughout. It is priced at £12 (Free P&P). It is also available in a variety of bookshop's throughout the Peak District. If you would like another nice Christmas present my nature documentary "Wild Peak" is still available to purchase below! 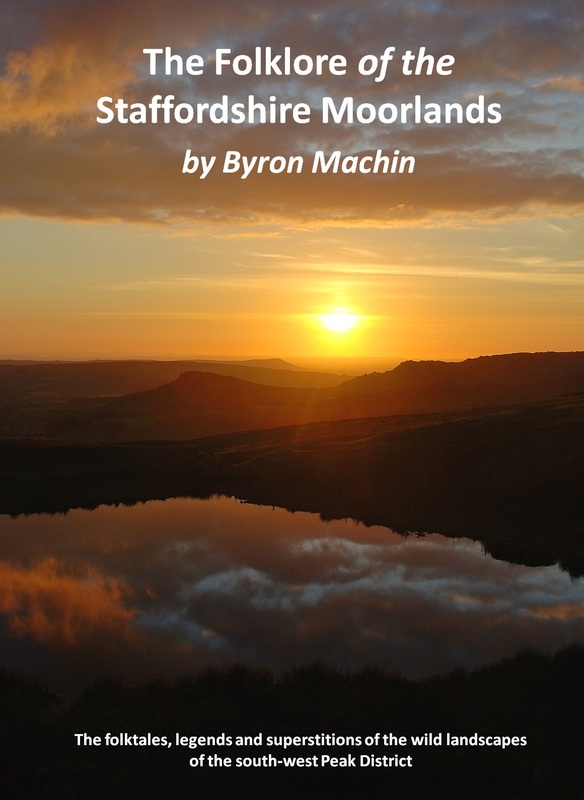 The dramatic and ominous scenery of the Staffordshire Moorlands lends itself to the fantastical. A millennia of erosion has created great escarpments, deep gorges and secret ravines, lined by wild expanses of heather and creeping morasses of sphagnum bog. Amongst these habitats are a whole network of ancient packhorse trails and holloways, linking together the isolated villages of the area. Over the last two decades Byron Machin has amassed a plethora of folktales, legends and superstitions. From Lud’s Church to Thor’s Cave these fascinating and sometimes terrifying tales are presented, along with a detailed guide to all the locations and stunning photographs. 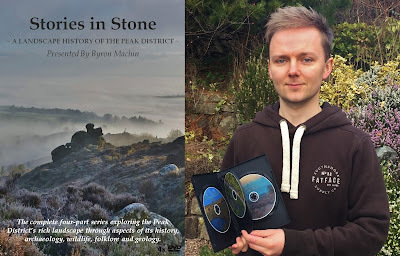 This brand new book, the first thorough account of the Folklore of the south-west Peak District in several decades is 192 pages in length, A5 in size, with matte card colour cover and black and white illustrations throughout. The book is priced just £12 and is available direct from me (with free post and packaging!) or from Picture Book in Leek. The Peak District is not only Britain’s most beautiful national park, but also the richest in terms of its prehistoric heritage. 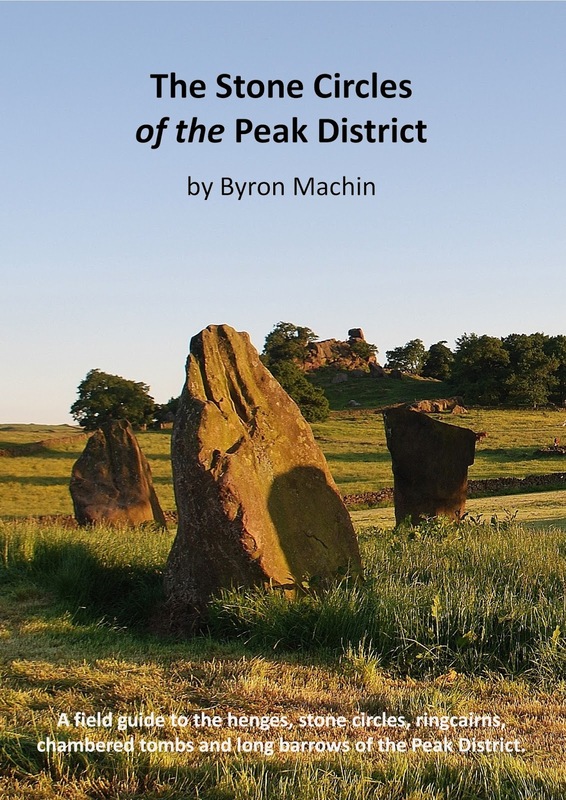 In this detailed field guide Byron Machin takes to the vast moorlands to explore all of the henges, stone circles and ringcairns of the Peaks. Each site is explored in detail, with locations, photographs, plans and excavation histories. From Arbor Low to the Nine Ladies every site is included, along with extra information on those sites which have been sadly lost, and those which never were. In a detailed introduction, the prehistory of Britain is discussed and the evolution of these prehistoric ritual monuments is explained. Also explored are a variety of other sites including chambered cairns, long barrows and rock art. Finally a specially created series of guided walks take in the most breathtaking ancient sites. The first edition of 'The Stone Circles of the Peak District' was a full colour A4 limited edition and has now sold out. The second edition has been produced in a handy A5 field guide size. It has laminated matte card covers and 194 pages, filled with maps and black and white photographs. 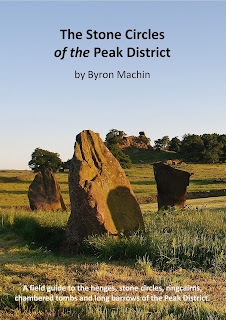 The book is priced just £12 and is available in book shops throughout the Peak District. You can also order direct from me below, and i offer FREE postage and packaging. All books will be shipped in a bubblewrap-lined jiffy bag. Sorry but i do not ship internationally. The Peak District is England’s most beautiful National Park. Its unique geology and rich human history has led to the creation of an intricate series of habitats, home to very special wildlife and wildflowers. 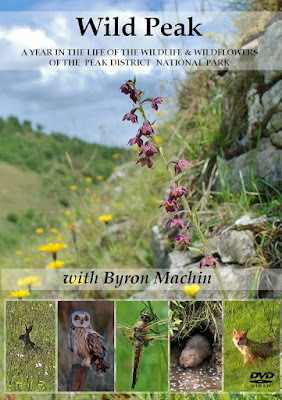 In Wild Peak local naturalist and historian Byron Machin uses over a decade of his own wildlife footage to take you through the cycle of seasons and reveal to you its hidden landscapes. Along with intimate portraits of everyone's favourite mammals including Hares, Badgers, Foxes and Water Voles you will also see rare insects, birds and a whole plethora of unique wildflowers which adorn the highest crags to deepest gorges. But this is not just a dry natural history film, Byron also includes aspects of folklore, archaeology, history and literature to bring the Peak District to life in a way never revealed on film before. Seven Stones Publishing is a little independent, non profit-making small press where everything vanishes more quickly than the Spring Snow! The press is run by Byron Machin and every item is hand-crafted in the Staffordshire Moorlands. For continuous update's on my activities simply add me on Facebook or send me an e-mail and i can add you to my mailing list. The following books and dvd's are now no longer-available. Byron Machin was born in the Staffordshire Moorlands and since a young boy has had a passion for all aspects of its history. He went on to study Physical Geography at university and for a decade was a high school Geography Teacher in Cheshire. Now freelance Byron is attempting to make a living doing what he loves!